Chai custards sing of sweet spices: ginger, cardamom, cinnamon, cloves. They’re delicately sweet little pots of cream and eggs baked into lovely desserts. The first note that hits your tongue is the sweetness, followed by the milky notes of black tea when finally the soft whisper of spice rolls forward as you finish your bite. Serve them with a dollop of freshly whipped, unsweetened cream which helps to balance the natural sweetness of the custards. Masala chai is a distinct blend of tea and spices that, when steeped in milk make Ginger, green cardamom and Assam tea form the distinct flavor and aroma of Masala Chai. To that fragrant blend, other spices are sometimes added depending on the region and personal preference. Star anise, whole cloves, cinnamon, black pepper, fennel seeds and rose petals are often added. In Eastern medicine and folkloric traditions, these spices are considered warming spices; that is, they bring fire to the belly and help digestion. 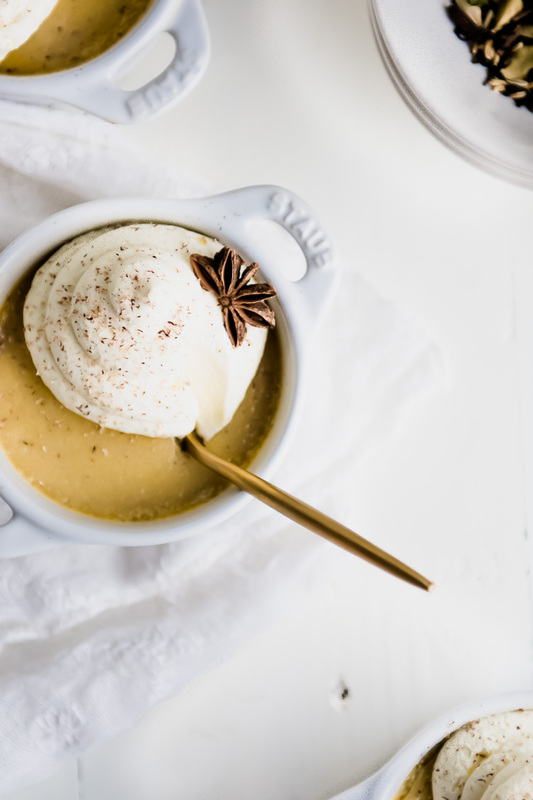 Their vibrant flavors and fire make this custard a perfect wintertime dessert when you want for something that’s both soothing and nourishing, but warming, too. Gently steeping the tea and spices in milk and half-and-half infuses them with a delicate flavor, one that is softer and less pronounced than the Chai Tea Lattés you might buy at the local coffee shop. These custards offer a gentler and milder flavor without the tannic, bitter overtones of tea steeped too long. 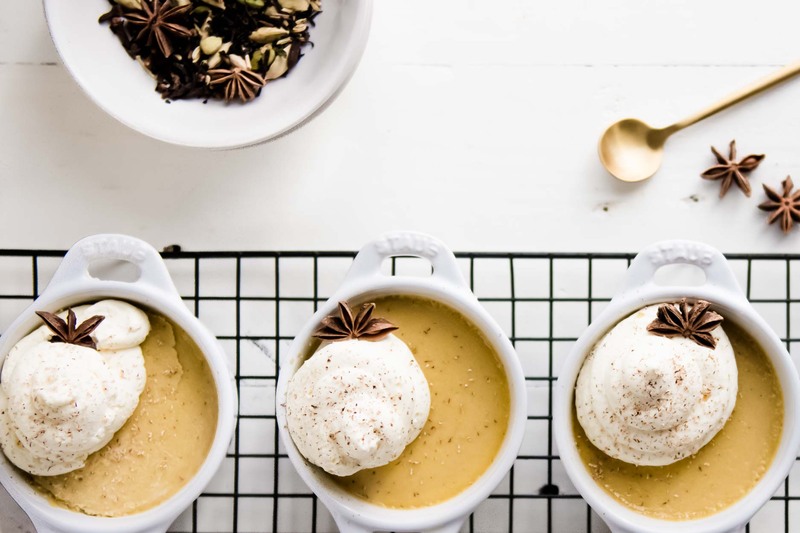 Using whole spices will give these chai custards a beautiful flavor and aroma. While ground spices provide a more distinct flavor, they also run the risk of curdling your custards, and whole spices act more gently upon the milk and egg mixture that forms the base of a beautiful, and well-executed custard. To bake these custards, you’ll need to prepare a bain-marie. A bain-marie is a French technique that allows custards and other delicate foods to cook gently and evenly. You’ll fill a baking dish half-way with hot water from your tap, and then set it in the warmth of a slow oven to preheat while you prepare the rest of the ingredients. And when your little cocottes or ramekins are filled, you’ll gently place them into the hot water where they’ll bake away quietly until they set. If you forget to prepare your bain-marie, and set the custards directly on the rack in your oven, they’ll heat too quickly from the outside, and the eggs will curdle and break instead of forming a smoothy, creamy custard. 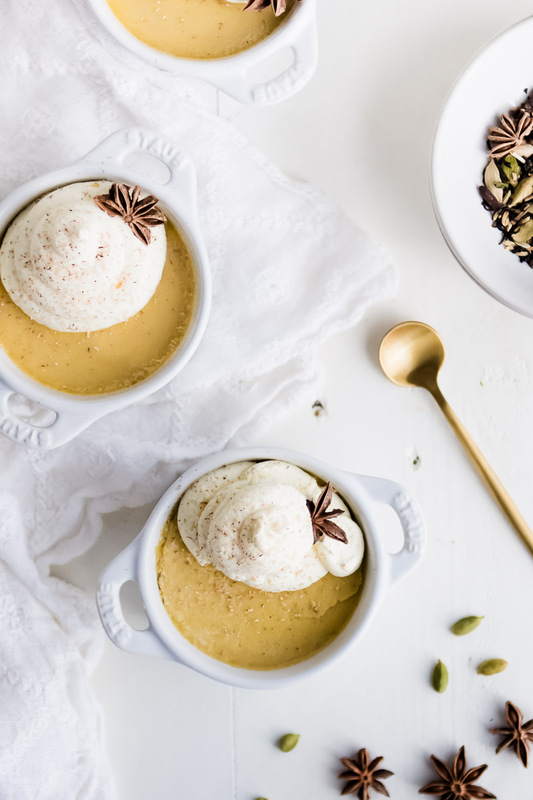 Infused with ginger, cardamom, star anise and black tea, this Masala Chai Custard offers a delicate flavor and utterly creamy texture. It will make 4 (6-ounce) or 6 (4-ounce) custards. You can find Organic whole spices, tea and jaggery at Pure Indian Foods. Pour the milk and half-and-half into a medium sauce pan over medium-high heat until it begins to steam and tiny bubbles appear at the sides of the pan, about 180 F. Turn down the heat to medium-low, and stir in the tea and spices. Allow the tea and spices to steep in the hot milk for 20 minutes. Heat the oven to 325 F, and fill a baking dish half-way with hot water. Place the baking dish in the oven. Break the eggs into a medium-sized mixing bowl, and add the jaggery. Whisk them together until the eggs look light and fluffy. Strain the spiced-infused milk through a fine-mesh sieve and into a pitcher or mixing bowl with a spout. Pour the milk into the egg and sugar mixture a little bit at a time, while whisking thoroughly, until you've added all the milk. Strain the mixture once more through a fine-mesh sieve, and pour it into ramekins. Place the filled ramekins into the baking dish in the oven, and bake the custards about 30 minutes, or until their centers wobble ever so gently when you jostle them. Allow the custards to cool to room temperature, and then top with whipped cream. Alternatively, you can store the custards in the fridge up to one day before serving. Jaggery is a traditional, unrefined cane sugar that, unlike white sugar, retains nutritive qualities of the sugarcane. Jaggery contains manganese, iron, magnesium and potassium. Jaggery is traditionally used to sweeten chai, as well as other foods. It has a rich sweetness with hints of molasses, and a little bit is all you need to sweeten a dish. You can find organic online jaggery here. Chai spices are one of my favorite flavors no matter the season. I’m going to pin this and work on an egg-free version. I may end up with more of a panna cotte, but the recipe sounds too divine to pass up! Absolutely, this recipe will work very well with coconut milk. I grew up in India where many of these spices are commonly used in desserts, especially cardamom! Wow! This sounds scrumptious. Chai is my favorite beverage. Thanks! This sounds amazing! I can’t get enough of homemade chai and just LOVE trying new recipes! Thanks so much for posting this! I wonder whether it would work to steep chai tea bags in the coconut milk . . . I will try it! Jenny – Your recipes inspire and delit me. Thank you for doing all that you do. Another great website for bulk herbs is bulkherbstore.com with information on specific herbs. This reminds me of when I gave up coffee I switched to making my own chai — so warming, soothing, and healing. Wow. That sounds awesome. 😀 Perfect one for the cold weather coming up. I love anything with cardamom and this recipe sounds great. I also really appreciate your view on the importance of being aware of the seasons and how that effects not just the humans but the animals as well. Thanks for posting. Wow. There is nothing else to say. I make my own chai with fresh and caramelized ginger, cinnamon sticks, star anise, cardamom, whole cloves, black peppercorns, fresh grated nutmeg, and allspice berries. To turn it into a custard would be – so decadent. I”m on it! This looks great. Where can I buy blackstrap molasses? Mmmmm can’t wait to try this. Such a lovely blend of flavours! Another amazing recipe, thank you! I am wondering, can I make this in a big custard dish, as I don’t have ramekins? Would I still need to place in another pan and fill with water? Now I’ve made pudding 100 times at least, but I’ve never had the milk curdle. I don’t know if that was because of the molasses or the spices, but it was very disappointing. I decided to proceed anyway. When it was finished, I was left with an… interesting dish. The texture was like a thick omelet. Pretty gross, quite frankly. The taste was good, though. I actually think I would make this again, but with the following changes: heat the milk on it’s own. Make chai concentrate. Omit the sugar, and mix 4 eggs, add about 3 eggs once the milk boils, and bring that to a boil. Serve. 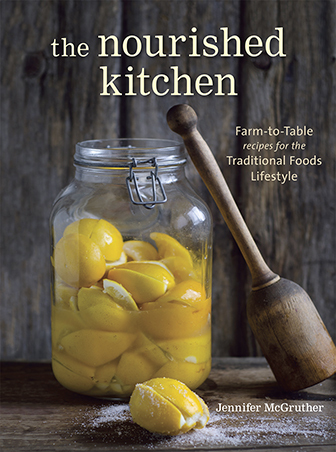 i love to cook and just love Nourished Kitchen and the idea of reviving traditional foods, the prose is great and the photos are so beautiful. Always a pleasure to read and try out. Thanks a lot and don’t stop. 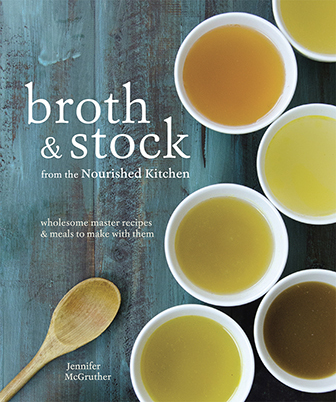 I am a recent subscriber & am so enjoying your recipes & information. (I even recommend it on my blog!) I appreciate your comments about seasonal eating & the respect you show for the local supplies of eggs & such. I know I can stand to be guided more by these considerations, & you have further inspired me. Thank you! This is a beautiful recipe, with beautiful photos! You’ve also intrigued me with the kala namak salt – I’m always interested in discovering traditional ingredients from other cuisines! Though I don’t think I can use milk to make custard, as I’m a bit short at the moment too! We’re getting less and less from our dairy farmer’s brown cows now and I prefer to keep my milk for drinking fresh; I’ve even switched to making my morning buckwheat porridge with water and butter, and soured cream left from summer to save milk. This sounds lovely. Is there any way to make this with a minimum amount of sugar? I am diabetic and have heart disease. Thank you. I’m not sure what a Tbsp of crushed cardamom pods means. Does it mean you measure out a Tbsp of the pods, open them up, & then grind the seeds? Or are you literally just crushing the pods a bit & then putting the whole lot in the custard? Also, with the cinnamon stick, are you grinding it in your spice grinder, or just putting in the stick, letting it infuse? Same with peppercorns … are all of these spices ground, some of them, or none of them? Anyone have a clue? AND … has anyone tried making with honey instead of sugar? All of the spices I use are whole, and I crush them with the flat edge of a knife. This recipe sounded perfect for our Dec 1 family holiday gathering, which ended with a dessert tasting. The mixture of organic blackstrap molasses, raw jersey milk and spices curdled by the time the 20 minute infusion was up. I was unable to rescue it by fine sieving, and after reading that Gavin had a similar problem, we fortunately had enough milk to try again. We suspected the acidity in the molasses so infused in milk only and beat the molasses into the eggs before adding the milk. This resolved the curdling but the intensity of the infusion was greatly reduced. Next time I’ll infuse the spices in the molasses with the same amount of whey. Gavin’s idea of turning it into a pudding with half the number of eggs would work for me as well. Having tasted both infusions, my chai loving daughter and I missed the intensity in the final product, but the newbies to chai thought it rather exotic, and cleaned up their Crème brûlée instead. We’ll keep the chai custard for our own little treat! Where do you get your rose petals? I saw this recipe and knew I needed to make it! I made it this morning for breakfast using farm fresh eggs and fresh jersey milk from our cow. I had read others trouble with the separated milk so I put the spices in he milk the night before and let it sit overnight in the refrigerator. This morning I heated the milk to a simmer and added in the molasses and sugar and baked it in a 9-13” pan. It turned out so great! Better than I expected! Our whole family loved it! It was a great way to use our gallon jug of blackstrap! Thank you for this recipe! Can’t get rose petals where I am. Figured out why that milk needed to come off the stove ASAP after reaching boiling point.. didn’t look good after unintentionally leaving it on the boil for a couple of minutes longer. Unfortunately, i cannot eat dairy. Do. you think i could make this with full fat coconut milk? Possibly. I think light coconut milk would likely be a better fit.